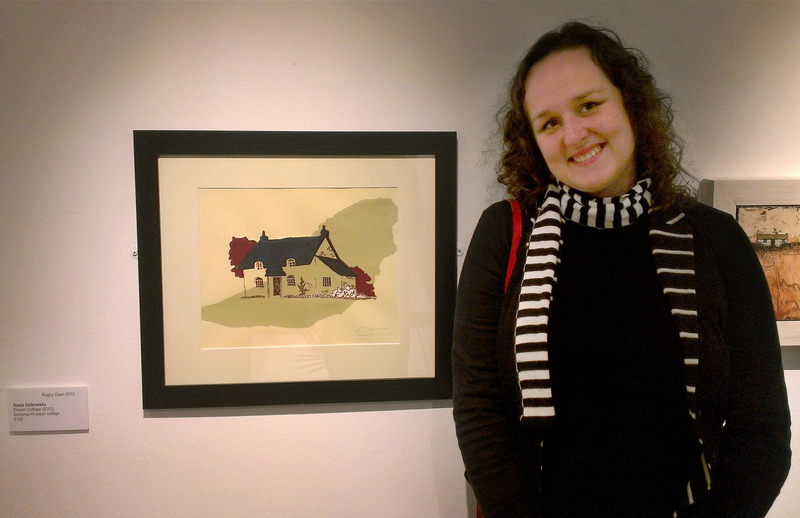 Hi, I thought that you will like to know that I have a piece at Rugby Open exhibition at Rugby Museum and Art Gallery. Below you can see a picture from private view. There is a lot of great work on the show so please pop down. Oh, and if you do don’t forget to fill a vote note for your favourite piece. I have just realized something: I haven’t written about my main art project that I am working on at the minute. Earlier this year I started to work around the subject of being a woman and the forces and challenges that it brings. 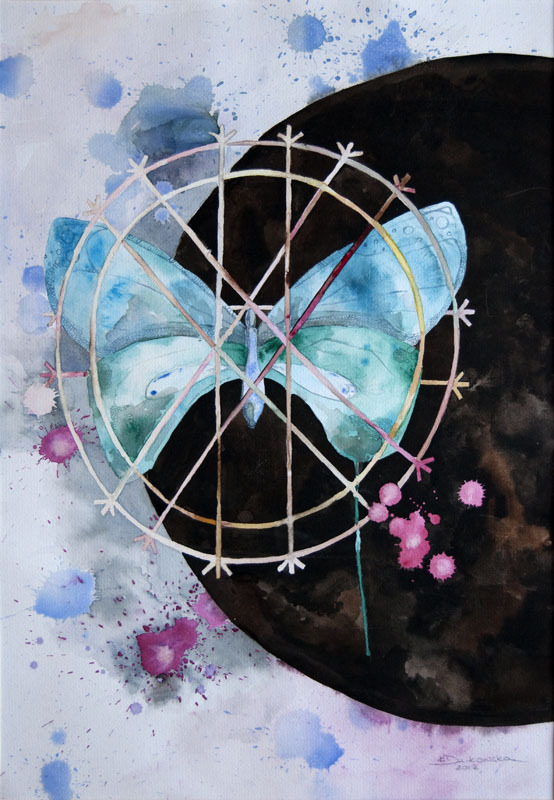 From this came the idea of a delicate beauty, in the form of the butterflies, embraced by restricted shapes forming a catcher for dreams and wishes. Here are two finished pieces for you to look at. Let me know what you think, I would really appreciate some thoughts. 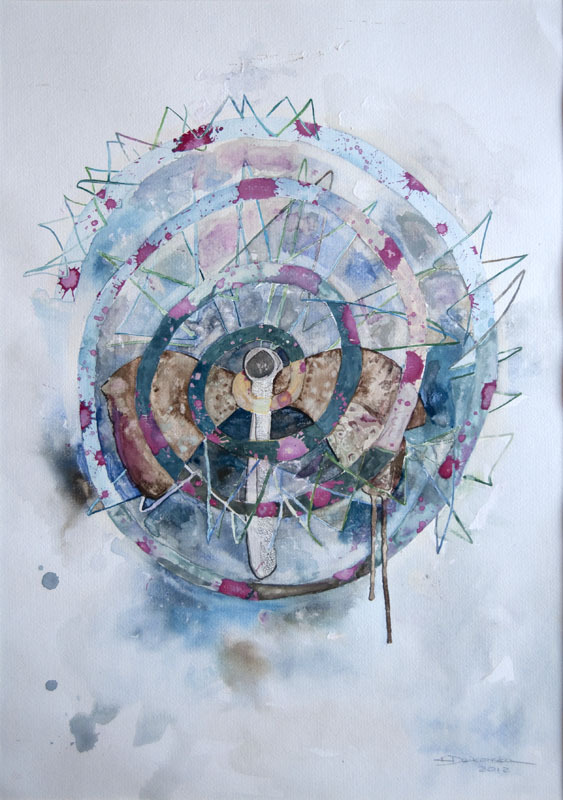 I am currently working on some more watercolours based around the same topic. Recently I’ve visited a very interesting place in Birmingham that I have heard about by pure coincidence. If you wouldn’t know that it’s there you would never find it. Almost like with Kings Cross platform 9 and ¾ I had to really look for it and ask for help once or twice to find it. Fortunately locals knew exactly what I am after. And there it was, imbedded in red brick industrial building, hidden under the importance and pressure of glory of Victorian window sills and arcades, gates to the long gone world of Pen Museum. I would strongly advise anyone who has some spear time on their hands and finds themselves at Jewellery Quarters to visit this sweet little place, where you can make your own pen tips and listen to the charming old chap explaining the ways of industrial age factory. And the entrance doesn’t cost a penny. Here are some pictures from that visit.